The 2015-2019 Colorado and Canyon design is a big win for General Motors, but even bigger when you add a 2-inch Southern Truck suspension level kit to it! Quickly achieve a perfect level with the rear of the truck with our easy-to-install 15040 suspension level kit. The new GM Colorado/Canyon kit gives more than enough ride-height to use up to a 265/70R17 tire with factory wheels. 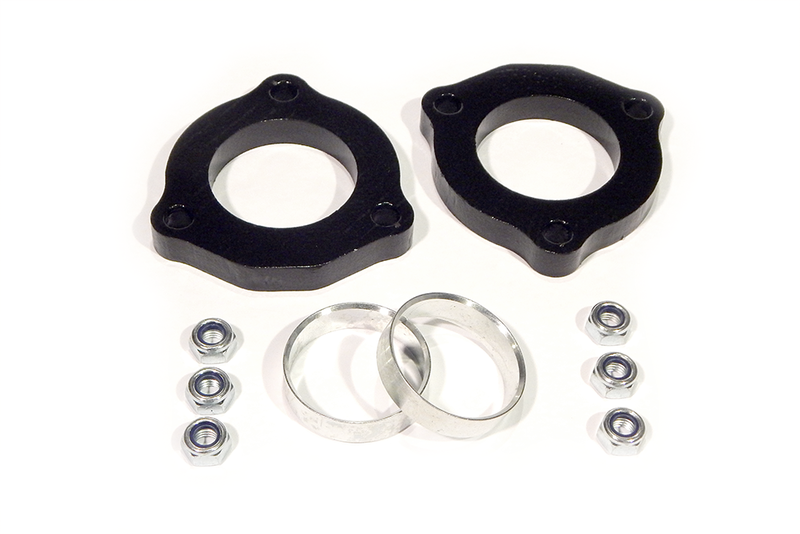 Southern Truck kit 15045 features our corrosion-resistant upper strut spacer and pre-load spacer, achieving the height we guarantee, getting the aggressive look and feel, and all while maintaining ride quality. Southern Truck's 2015-2019 Chevrolet Colorado and GMC Canyon 2-inch Leveling Kit comes standard with Southern Truck's Lifetime Replacement Warranty.